The Federal Government has restated its commitment towards ensuring that the Onitsha Inland Waterways and others across the country are viable and functional. 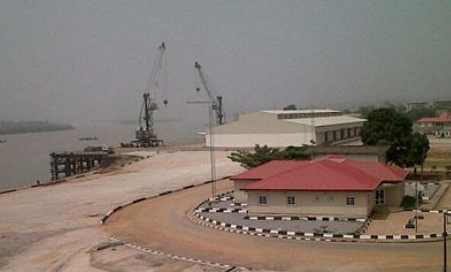 The Managing Director of National Inland Waterways Authority, Senator Adeleke Mamora, gave the assurance on Monday during a facility tour of the Onitsha Inland Port. Mamora, who described the NIWA Onitsha as “an economically significant area office”, said the Federal Government was determined more than ever to commence operation at the Onitsha River Port. He expressed concern over the level of decay at the port, both in equipment and infrastructure at the Onitsha Area office, saying if revamped, the port would boost the economy of the area. He said: “President Muhammadu Buhari is committed to make Onitsha River Port work with the ongoing efforts to concession the facility. “We want to decongest Lagos because it is over burdened as out of 100 per cent of goods that land in Lagos, only about 20 per cent stay in Lagos. “About 80 per cent of those goods come to Onitsha from where they are distributed to other parts of the country. The Area Manager, NIWA Onitsha, Uche Amadi, stressed the need for Public, Private Partnership to revive the port and boost economic activities in the area. According to her, the area office has so far generated over N46 million as revenue as at October 31. “A public, private partnership arrangement will boost and diversify the revenue base of the Area office,” she stressed, while appealing to the Federal Government for operational vehicles and necessities to ease the work.